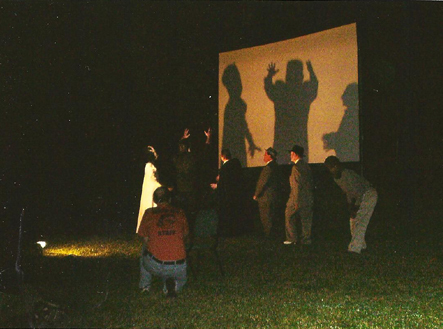 Photos provided by Barb Heiss, Kevin Slick, Phil Smoot, Geoffrey Curtis, Juan Ortiz, Brian Nichols, Steve & Maxine Wrzesien, The Spisaks, Cortlandt Hull, Dennis Vincent, Michael Joyner and others - thank you! 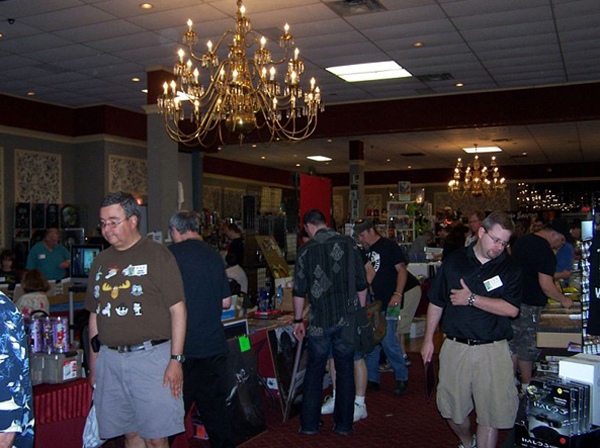 The Monster Bash Dealer Ballroom. 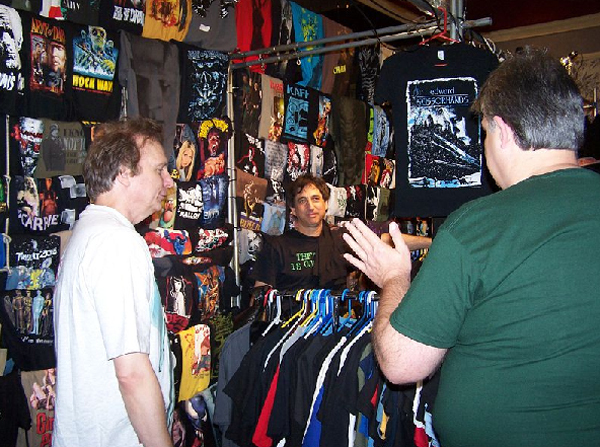 Steve Unger with the best selection of tee-shirts around. 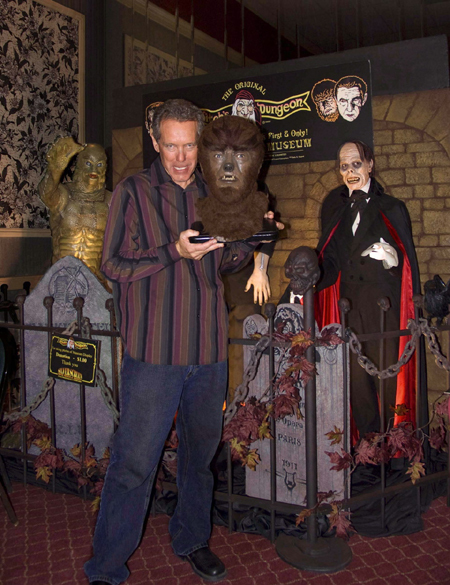 Monster Bash Make-Up Master, Ron Chamberlain, gets his Monster Bash Award - The Forry for a lifetime of promoting the classic monsters and the work of Jack Pierce. 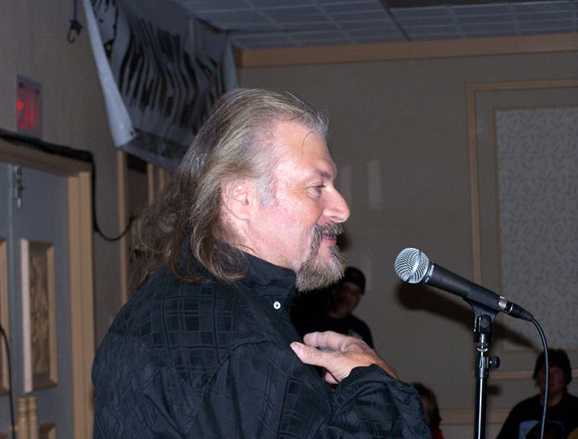 Jim Clatterbaugh of MONSTERS FROM THE VAULT gets a lifetime achievement - The MBA - The Forry Award. 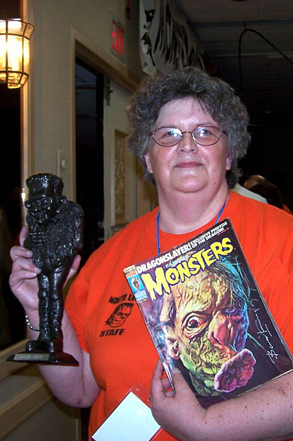 For untold hours of her life, this woman has worked for helping to keep the monsters alive...alive...alive! 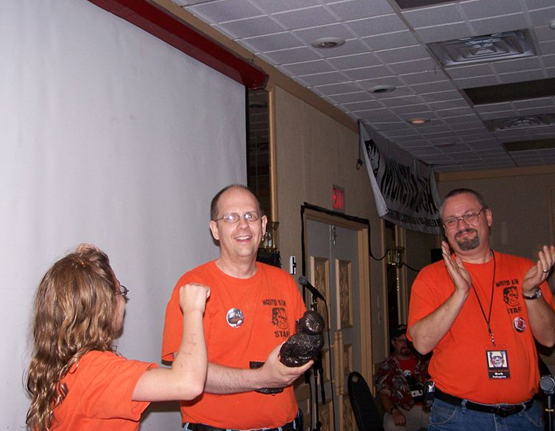 Barb Heiss gets her Forry! Ron Adams is shanghaied! A super-surprise master-minded by Ursula Adams and presented by Bob Pelklegrino, Paislet Adams and Kevin Slick...A Forry Award! 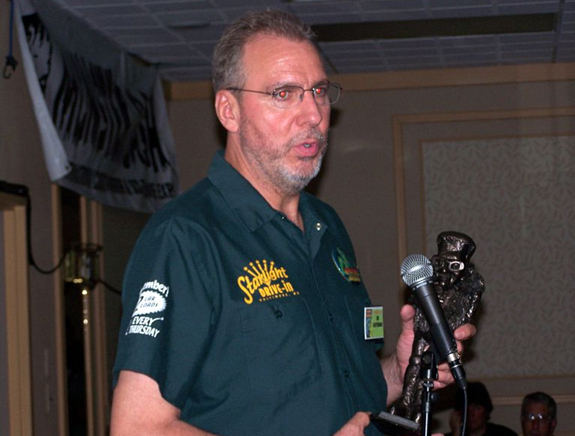 The Forry Awards are sculpted and bronzed by artist Daniel Horne. 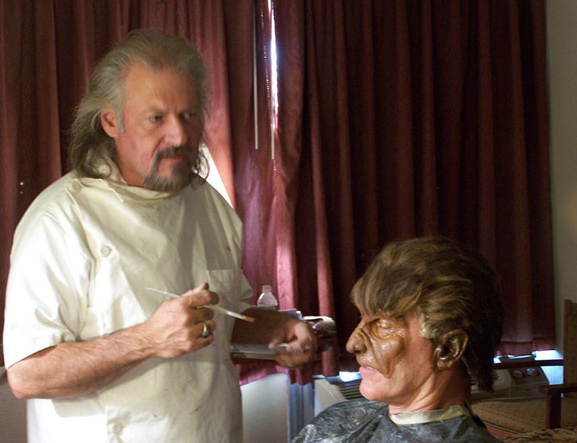 Ron Chamberlain in the process of making up Lon Chaney Jr.'s grandson, Ron, to carry on the full moon tradition! 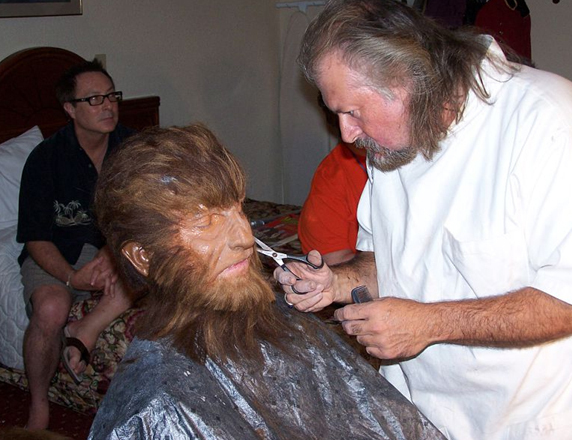 The Wolf Man gets a trim. 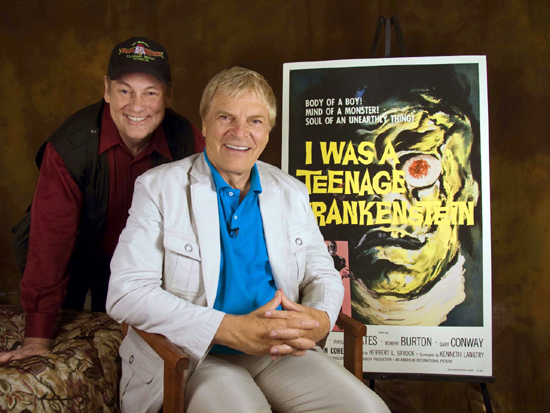 Ron Chaney and Ron Chamberlain. 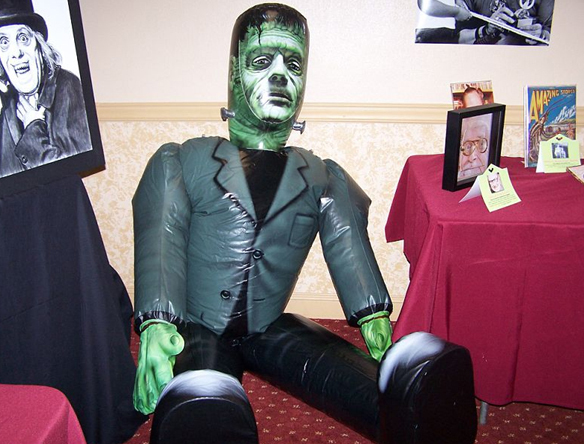 The Forrest J Ackerman Tribute area, managed by Joe Moe. 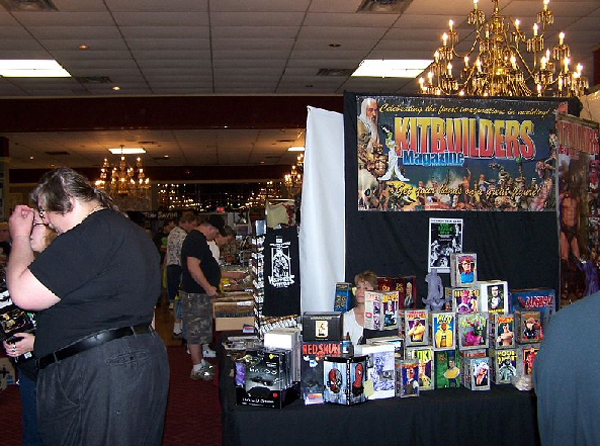 Those are Forry's glasses on the table and his first issue of Amazing Stories! 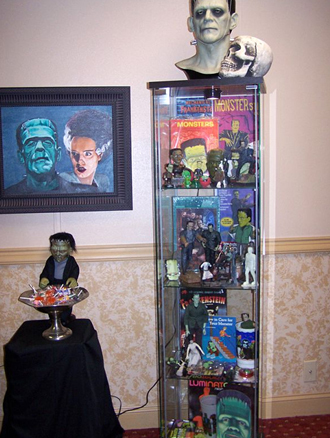 Just a small section of the great Frankenstein Collectibles and artist Linda Miller displays that Max Cheney masterminded! 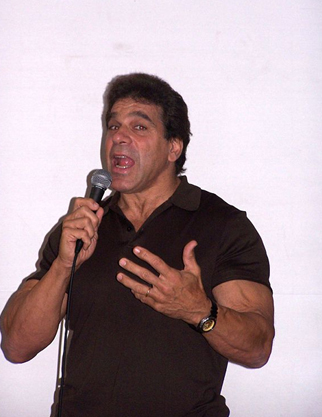 Lou Ferrigno speaks on stage with sincerity about growing up loving the Frankenstein Monster and the Hulk. 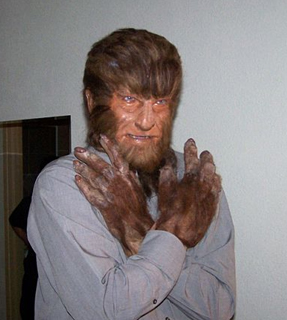 And how he was inspoired by the movie I WAS A TEENAGE FRANKENSTEIN to start body building. 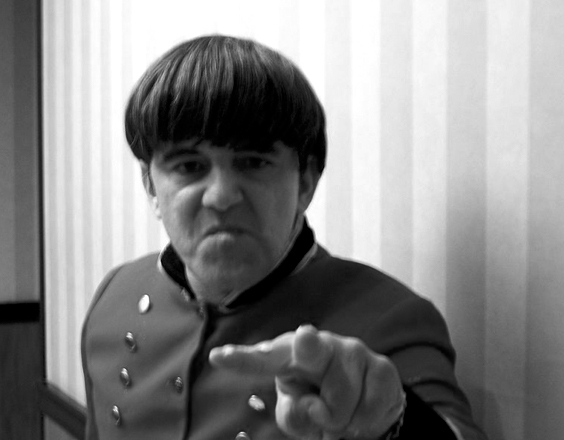 Jay Novelli as Moe Howard...pick two! 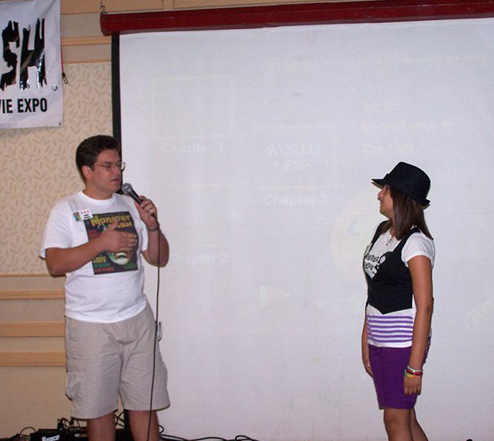 Brian and daughter Briana Nichols get ready to present ATTACK OF THE 50 FOOR GHOUL at Monster Bash! 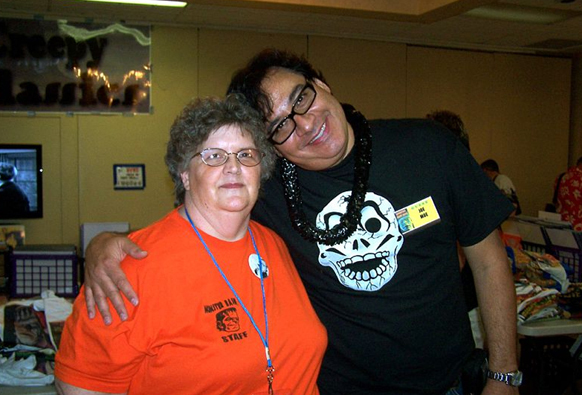 Barb Heiss and Joe Moe. 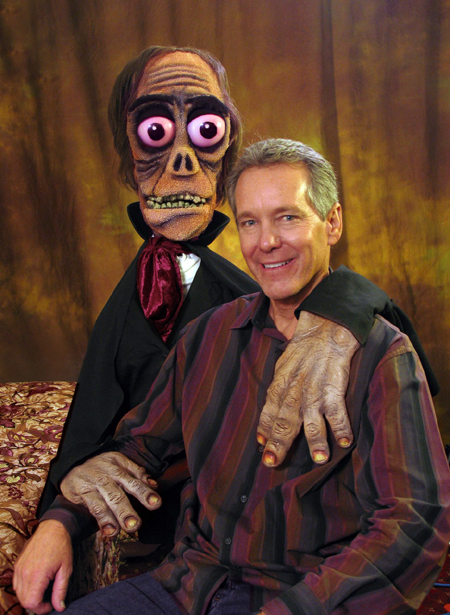 Cortlandt Hull of The Witch's Dungeon with Gary Conway in a posed shot at Monster Bash.